After thirty years of marriage, Wilson Lewis, son-in-law of Allie and Noah Calhoun (of The Notebook), is forced to admit that the romance has gone out of his marriage. 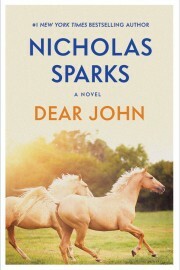 Desperate to win back his wife, Jane’s, heart, he must figure out how to make her fall in love with him… again. Despite the shining example of Allie and Noah’s marriage, Wilson is himself a man unable to easily express his emotions. A successful estate attorney, he has provided well for his family, but now, with his daughter’s upcoming wedding, he is forced to face the fact that he and Jane have grown apart and he wonders if she even loves him anymore. Wilson is sure of one thing—his love for his wife has only deepened and intensified over the years. Now, with the memories of his in-laws’ magnificent fifty-year love affair as his guide, Wilson struggles to find his way back into the heart of the woman he adores. The genesis of a novel is always a tricky process, and The Wedding had the longest genesis of any novel I’ve yet written, and was based on two separate ideas that had been floating around in my head for years. The first idea was fairly obvious, and I’ve been toying around with the idea of a sequel or follow-up to The Notebook ever since the novel was published. Even now, readers still talk to me about that novel and the memories of Noah and Allie still linger in their imagination. I thought it would be fun to revisit those characters – both for myself, and for the readers – but it was easier said than done because I hadn’t originally written The Notebook with the intent of a sequel in mind. For those who’ve read the novel – and know how it ends – you’ll understand this point, and frankly, I didn’t know where to take the story after the final scene. None of my ideas for the “sequel” were as moving as the original story had been, and I didn’t want to diminish the first story by publishing something less than meaningful. For a while, I thought I could write a story about the middle years of Noah and Allie’s life, since I’d neglected those years in The Notebook. But that wasn’t really a sequel, it was more of a “fill-in-the-blank” type of story, and again, nothing I could come up with seemed quality enough to pursue. At the same time this story was fermenting in my mind, I began thinking about the theme of love and renewal. In other words, I wanted to create a love story between a married couple, one in which the husband decides to court his wife all over again. I thought this would be a story that not only original to readers, but one that they might find relevant as well. Marriage is both the most wonderful and frustrating experiences of most people’s lives. No one’s marriage is perfect, and no one’s marriage is always easy. For these reasons, I find great nobility in people who work to improve their marriage and do their best to keep the romance in their marriage. People have often written about couples like Wilson and Jane, couples that have simply drifted apart. Yet all too often, these stories center around adultery, and adultery isn’t a topic I wanted to explore. I find nothing romantic about adultery and nothing wonderful about stories that make adultery seem magical and beautiful. Morally, I believe that adultery is wrong, and I don’t want to write such a story. New Bern is a quiet town on the coast of North Carolina. Located in Craven County, New Bern is the second oldest town in North Carolina. It is a town rich in American history, a site of Civil War battle, and the birthplace of Pepsi-Cola. New Bern’s downtown is bustling with restaurants and entertainment, and the town’s southern reaches are home to the quieter Croatan National Forest. With historic homes, beautiful gardens, and quaint shops, New Bern provides the ideal setting for The Notebook, which takes us back in time to a quiet and romantic period in the city’s history, as well as The Wedding, A Bend in the Road and Safe Haven. Love and renewal, while seemingly easy on the surface, was more challenging than I thought it would be. I began such a novel in the spring of 2000 and wrote nearly 175 pages before I realized that the story wasn’t going anywhere, and I set the book aside to write A Bend in the Road instead. Still, however, the idea stayed with me. In 2002, these two ideas – a follow-up to The Notebook, and the theme of love and renewal—merged, and soon afterwards, with the story taking shape in my mind, I began to write. Why do you call it a “follow-up,” instead of a sequel, to The Notebook? Technically, it isn’t a sequel. A sequel would have followed the lives of Noah and Allie after the conclusion of The Notebook. Instead, I wrote about the next generation. Are you more like Wilson or Noah? Oh, I guess I’d have to say Noah. But you should probably ask my wife that question. Where did you get the idea of centering the novel on the planning of a wedding? I love weddings, and I thought it would be a way to make the novel seem more universally romantic. Usually, when I make decisions about particular elements or events in a novel, it’s for those same reasons. In addition, when I was originally thinking through the novel, I spent a lot of time focusing on exactly what Wilson could do for Jane as an anniversary gift. It had to be dramatic, it had to be surprising, but it couldn’t be something crazy. For instance, I couldn’t have him quit his job and move her to the bed & breakfast she always wanted, simply because it seemed to unrealistic. Almost all women, however, like to be romanced and courted. Will you ever do a follow-up to The Wedding? Maybe. I’m toying with the idea of using Anna and Keith again and even have some ideas for a possible story. But I can’t say when I’ll actually sit down to write it. Why did you include the swan in the story? And what are your thoughts about it? In what ways are you like Wilson? I love my wife, and take my work seriously. Have you ever forgotten your anniversary? Will The Wedding be adapted into film? So far, no, though I haven’t offered the novel to Hollywood as of yet. In the future, I may, and we’ll see what happens. How can they make a movie out of The Wedding since Noah and Allie died in the film version of The Notebook? Movie magic, of course, if the producers choose to go that route. 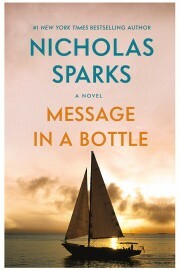 Either (a) Noah miraculously recovers—in which case, the opening scene would be one in which Noah is rushed, via ambulance to the hospital, (b) Noah is more of an imaginary character that resides in Wilson’s mind (and they could use “memories” of conversations gone by identical to those in the book), (c) The Wedding takes place earlier in time—in other words, before the film version of The Notebook (which would require a new story for Noah that’s different from the one in The Wedding, or (d) delete Noah’s character entirely. All of those options, while not strictly in line with The Wedding, are typical of the way Hollywood would choose to handle the problem. If asked, my own choice would be for option (a). Sort of. Noah’s house was inspired by a house in Pollocksville, North Carolina, though I set the house in New Bern. I incorporated other changes, however, including the addition of the formal rose garden. What was it like revisiting Noah as a character? In the beginning, I was nervous about it because Noah remained so vivid in the minds of those readers that loved The Notebook. I didn’t want to write anything that seemed out of character, yet I wanted to add to his character in such a way as to make him even more likeable. In the end, I gave him more of a sense of humor than he’d showed in The Notebook.